If you are new to a restricted diet, or even if you have been on one for a while, you need to check out the Gluten Freedom Project. Don't let the name fool you. This free website is not just for people who are gluten-free, but for people who have a variety of diet restrictions. The Gluten Freedom Project (GFP) is a website that was created by a group of health care professionals, many whom are dealing with restricted diets themselves. There are so many great tools available on this site. Menu planning, recipes, a product directory, grocery lists, and so much more. Menu planning a big part of dealing with food allergies or a restricted diet for other reasons. It is hard to just throw something together on the fly. It is important to have safe ingredients on hand for meal prep. 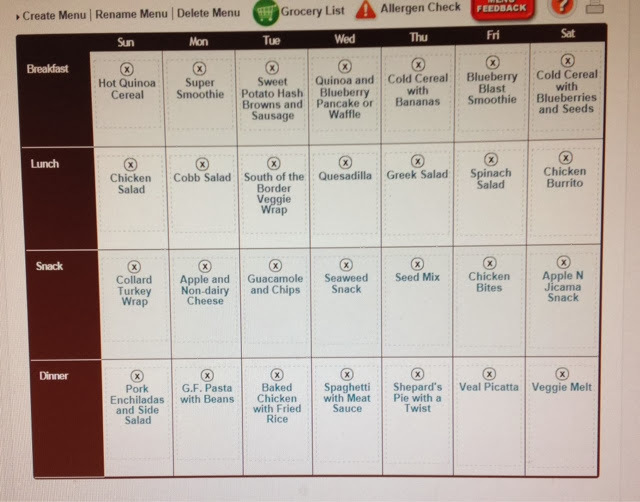 The GFP Menu Planner allows the user to select which foods need to be avoided and creates a menu for you. Or you have the option to create you own. There are tons of recipes to choose from for breakfast, lunch, snacks, and suppers. The recipes are selected by your special diet needs. It doesn't get much easier than that! There are so many recipes to choose from. Even with my family's diet restrictions, there are still several options available. Each recipe has a picture, description, ingredients, and instructions. And the variety is amazing! I know we get stuck in a rut eating the same thing over and over again because it's easy, but the GFP has given us so many more options. I love that I can select which foods need to be avoided, and it creates a recipe list to suit my needs. There is a detailed product directory that offers a comprehensive list of products and allows you to view the list of ingredients. There is also an easy one-click Allergen Warning button for easy viewing of allergens in each product. I usually stumble across products in the store, but this is a much easier way to search. And this way I don't have to stand in the freezer section with the door open while reading labels. :) There is an option to add these products to your Favorite's list, add to your grocery list, or order online (if applicable). I love this feature! Writing a grocery list is something I am hit or miss at. Sometimes I do it (and stick to it), and other times I just wing it. One thing I know is that I definitely save money and have fewer trips to the store if I have a list in hand. The grocery list option on GFP is great. 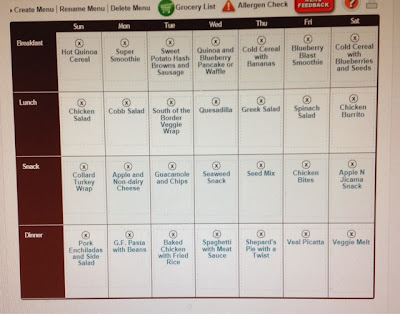 You can create your list on the site while checking for allergens and print or e-mail the list to your phone or tablet. You can also print coupons when available. The list is organized by sections of the grocery store to make your trip more efficient. And this list can be created as part of your menu planning/recipes. So easy! The Gluten Freedom Project also offers several other great resources. There is a whole section dedicated to Learning. Here there are weekly lessons which include the topics Getting Started, Eating, Safe Kitchen, Shopping, Cooking, Eating Out, Social Support, and Travel. It is a great way to learn about diet restrictions without feeling overwhelmed. There is also a library of great articles to help you learn more about food topics. There is also a great community of support on this site. It is easy to feel alone when you can't eat like everyone else around you, but this support system can help you feel more confidant in your choices and your special diet needs. The one thing that would make The Gluten Freedom Project even better is if there were an app available for my phone or tablet. I'm sure as this site continues to grow, an app will be on it's way. Give this FREE online tool a try! You won't be sorry you did!